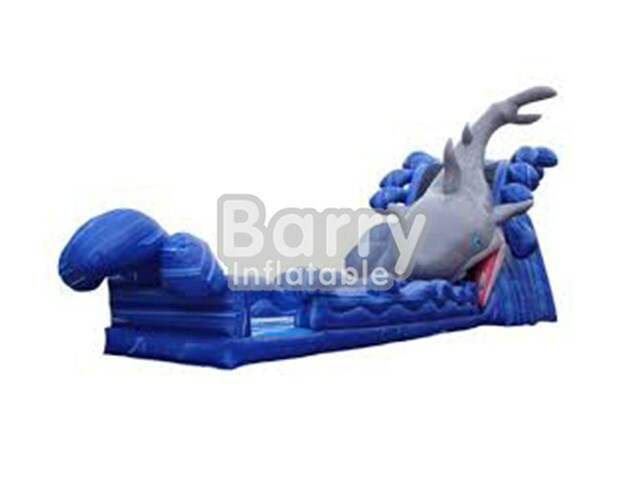 Inflatable Water Slide - water slide with pool - China Manufactor Big Sharp Inflatable Water Slides To Buy BY-WS-057 - Guangzhou Barry Industrial Co., Ltd.
Get ready for our huge Shark Water slide! This giant water slide features a tall climber riders will have to go up, once at the top, riders will slide down right through and out the Shark's mouth and teeth. Be careful it doesn't take a bite out of you! This Shark inflatable water slide is great for all ages. Features safety netting over climbing area and at the top along with water mister that will be connected to your regard garden hose (not provided). Requires 5 foot pathway to setup location, cannot go up/down any stairs. color,size,logo can be customized as your requirement.